When you constantly travel around looking for the best gastronomic experiences, you’re bound to run into a few road bumps, and sometimes, these aren’t what you’d expect either. Rather than being strapped for ideas for what to do while in a certain place, you might find yourself with too many options – too many places to go and delicacies to try. This is called the paradox of choice, a phenomenon where we’re given so many good choices that we’re left scrambling to choose one. When this happens, a round of Food and Travel Buff Bingo might help. Bingo is a game that’s been around for centuries, with a surprisingly rich and colorful history that spans several countries and continents. Lo Giuoco del Lotto D’Italia is widely recognized as the earliest incarnation of bingo dating back to the earlier part of the 16th century. The modern-day incarnation of bingo as it is played today emerged after the game eventually made its way to North America in 1929, where it was originally known as “beano”. After hearing a player accidentally shout “bingo” instead of “beano”, legendary toymaker and game entrepreneur Edwin S. Lowe renamed and eventually popularized the game into its present form. These days, bingo is enjoyed by people from all walks of life across the globe. September 2011 figures released by the UK Gambling Commission confirm that bingo has grown into an impressively lucrative industry worth around £1.3 billion. Moreover, bingo players in the U.K. have embraced the accessibility and convenience of online bingo. It’s not uncommon for online bingo companies in the U.K. to utilize TV ads that display a fair bit of wackiness. The infamous Iceland Bingo TV ad features two dejected ducks who eventually cheer up when they are invited to a particularly boisterous party inside an Iceland Foods outlet. The versatility and simplicity of a bingo card makes it a fantastic platform for all sorts of variations. The numbers in a bingo card can easily be replaced with words, phrases, or images to suit one’s preferences. 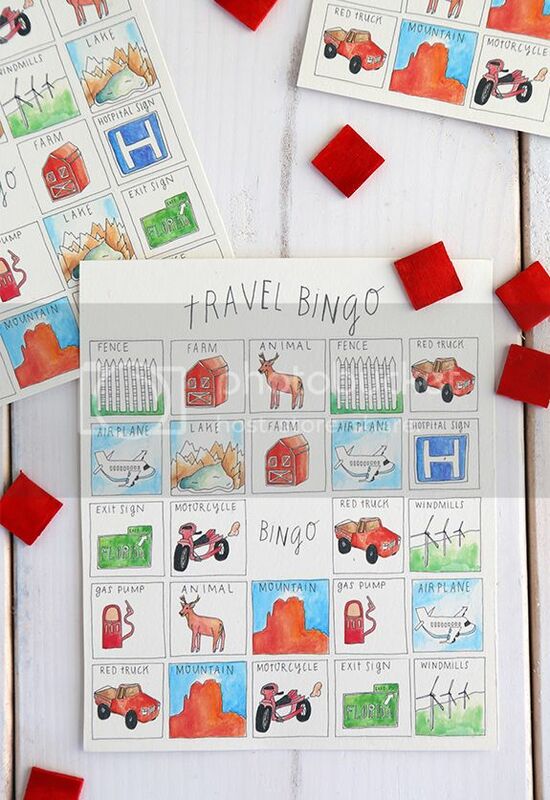 Liz Stanley of the Say Yes arts and crafts blog created her own printable Travel Bingo card adorned with pencil-drawn and watercolor-painted illustrations. Meanwhile, quirky gift product purveyor Knock Knock currently offers what they call Road Trip Bingo cards with punch-through icons depicting a bridge, satellite dish, motorcycle, billboard, and other sights on the road. You can use a variation of the game to help you make choices on your gastronomic adventures as well. Simply make a list of all your options, use an online bingo creator to generate several bingo cards, and give one card to each of your travel buddies. Split up and begin hunting down each experience – food-related or not – making sure to mark off each item on the card as you complete it. As proof that the task has been accomplished, photos need to be taken at every pit stop. The first to complete a pattern wins the game. This game easily makes a personal itinerary for you and your friends, as well as adds a competitive edge to your travels!